Click here to download the Fall 2018 newsletter. 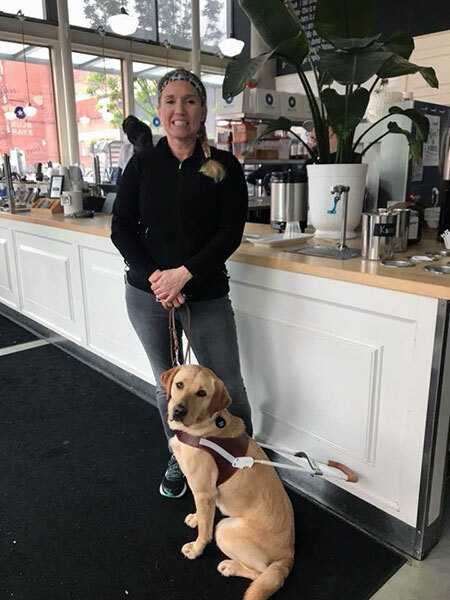 In honor of International Assistance Dog Week, I would like to share with you some information about my guide dog, Yuma. I got Yuma from Guide Dogs for the Blind (GDB) in May, 2018. Having a service dog has been absolutely life-changing! Yuma helps me with mobility, avoiding obstacles, navigating through crowds, etc. My eye condition affects my central vision, so often people and objects appear out of nowhere. Yuma has helped me to feel a sense of independence that I was quite honestly losing. Instead of relying on people for rides all of the time, Yuma and I are exploring public transportation together and becoming good at getting around Whatcom County! 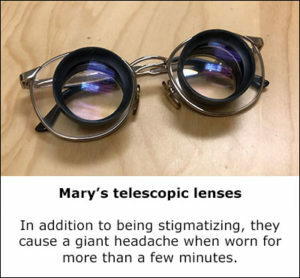 Previously I had to rely on sighted guides, a cane, or driving with my telescopic lenses, which, while legal, didn’t feel very safe. One of the challenges of having a service dog is that strangers want to pet her all of the time. Always ask before petting a service dog. It could be dangerous to distract an assistance dog from their responsibilities. Other dogs are also a barrier to success in the community. Yuma loves dog friends, but frequently we are confronted in the community by strangers with dogs that are not on leash who jump all over us and distract Yuma from her work. This is a frequent complaint I hear from my peers who also have service dogs. One of the ways Yuma assists me is that every morning when I get to work she leads me directly to wherever I have left my coffee cup and then directly to the kitchen to fill it up. It’s pretty funny. She relies on routine and has apparently figured mine out quite well! It’s important to realize that service dogs get to have fun too. 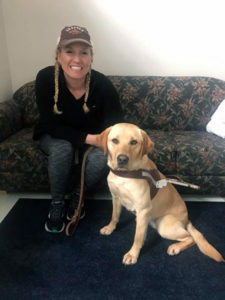 People for the Ethical Treatment of Animals (PETA) is actually very against service dogs because they don’t understand that guide dogs are in fact not always working. People ask me all of the time if Yuma ever gets to be a normal dog. Yes, she does. She is like any other dog when she is off-duty. Generally speaking, I think Yuma really enjoys working. She loves having a sense of purpose and gets excited to be in her harness. She loves playing in her off time as well. If there comes a time that Yuma is no longer excited about working, she will retire and I will get a new dog. Guide dogs work for as long, or as little, of a time as they want to. 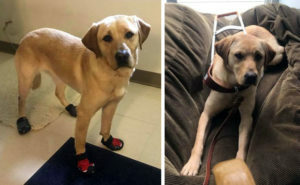 Many dogs never make it to the status of guide dog. There is a great movie coming out that I have had the opportunity to preview called “Pick of the Litter,” which chronicles the life and challenges of puppy raisers upbringing of a litter for GDB. It is also important to remember that like humans, guide dogs have good days and bad days. Yuma is not super human, and she doesn’t actually speak English. She is trained to perform certain activities on my behalf with detailed rewards system. We are still a new team and working together to become an even better team. Here is a video of Yuma having fun when she is off-duty! 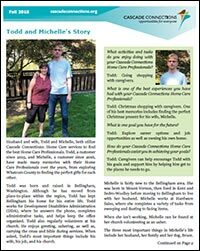 Click here to download the Spring 2018 newsletter. Click here to download the Fall 2017 newsletter. Cascade Connections would like to thank all of our participants and sponsors for our recent fundraising event, The Third Annual Hamster Ball. Your partnership lead to a very successful afternoon benefiting people with disabilities in our community. A huge thank you to our title sponsors, Haggen Food & Pharmacy and KISM 92.9. We also would like to thank all of our business sponsors, business donors, silent auction donors, beer/wine/chocolate distributors, entertainment professionals, volunteers, and everyone who came out to support our organization by attending the 2017 Hamster Ball. Your support is greatly appreciated! Stay tuned for the 2018 Hamster Crawl information. In case you missed the Hamster Ball, here is one of the videos we played at the event. 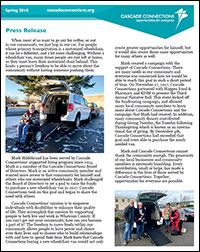 Cascade Connections has set up a new fundraising page below to raise money for a new wheelchair van. All donations and proceeds from The Third Annual Hamster Ball will be added to the fundraising page by next week! Thank you for supporting us. Click here to download the Spring 2017 newsletter. 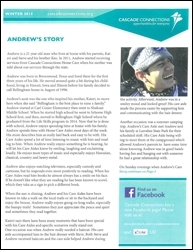 Click here to download the Fall 2016 newsletter. 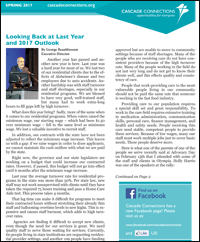 Click here to download the Summer 2016 newsletter. 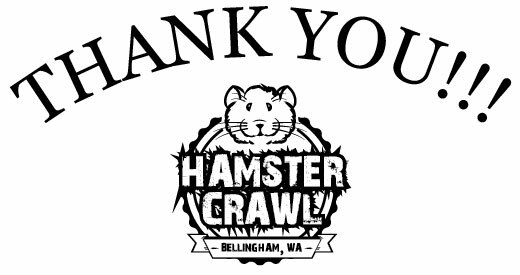 Cascade Connections would like to thank all of our participants and sponsors for our recent fundraising event, The Hamster Crawl. 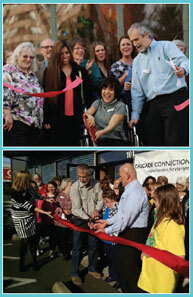 Your partnership lead to a very successful afternoon benefiting people with disabilities in our community. 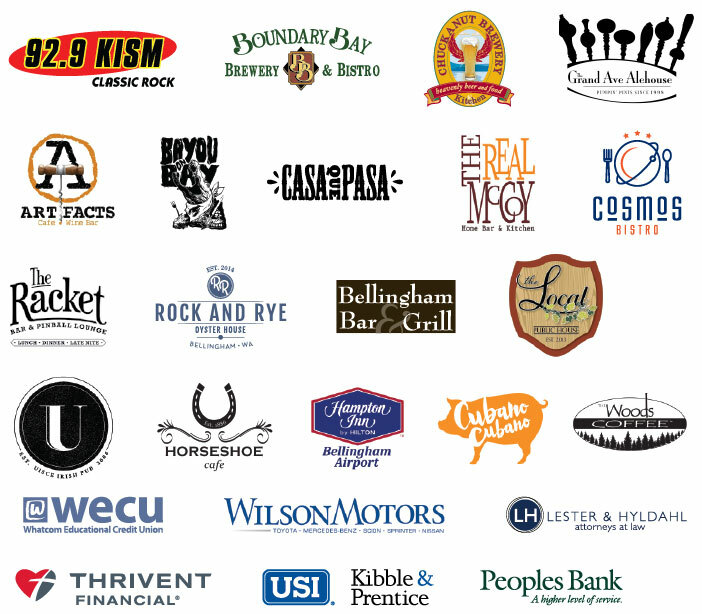 Thank you, KISM 92.9, Boundary Bay Brewery, Chuckanut Brewery & Kitchen, CubanoCubano, Grand Avenue Alehouse, Hampton Inn Bellingham, Artifacts Wine Bar, Bayou on Bay, Casa Que Pasa, The Real McCoy, Cosmos Bistro, The Racket – Bar & Pinball Lounge, Rock and Rye Oyster House, Bellingham Bar & Grill, The Local, Uisce Irish Pub, Horseshoe Cafe, WECU Whatcom Educational Credit Union, Wilson Motors, Lester & Hyldahl, Thrivent Financial, Kibble & Prentice, Woods Coffee, Peoples Bank, and the many friends of our organization! Stay tuned for the 2016 Hamster’s Ball information. 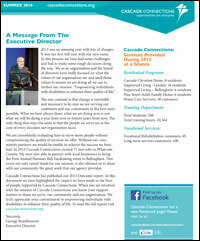 Click here to download the Spring 2016 newsletter. 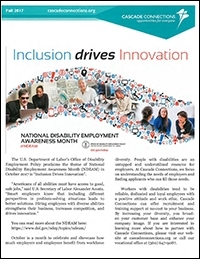 Click here to download the Fall 2015 newsletter. 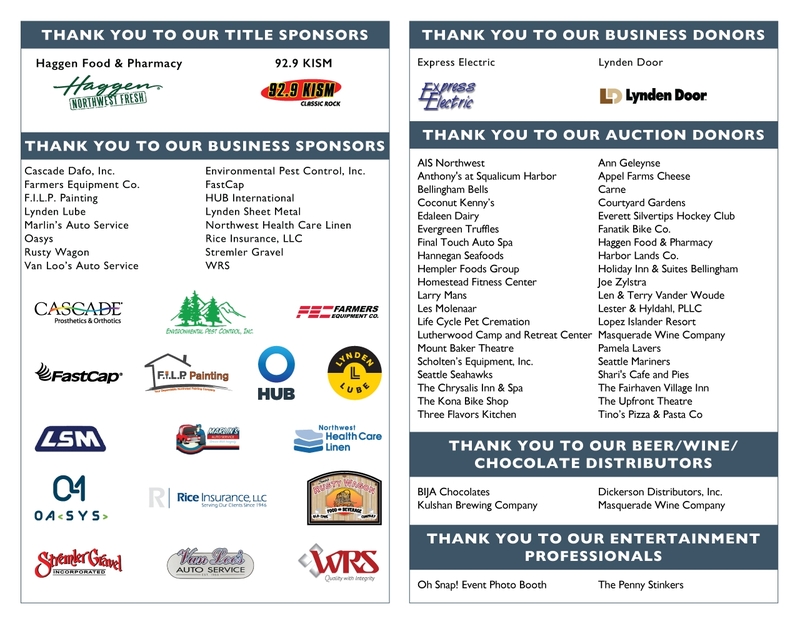 Cascade Connections would like to thank all of our sponsors for our recent fundraising event, The Hamster’s Ball. Your partnership lead to a very successful evening benefitting people with disabilities in our community. Thank you, Bayou on Bay, Casa Que Pasa, Aslan Brewing Company, Boundary Bay Brewery, Chuckanut Brewery & Kitchen, Sharis Bellingham, Woods Coffee On Corner Of Bay & Holly, Hilltop Restaurant & Catering, Dickerson Distributors, Inc., Unique Wine, Oh Snap! Event Photo Booth, GMB Entertainment, Red Cab, Haggen Northwest Fresh Bellingham Barkley, Albertsons and Jen Bonstein and the many table sponsors and friends of our organization! 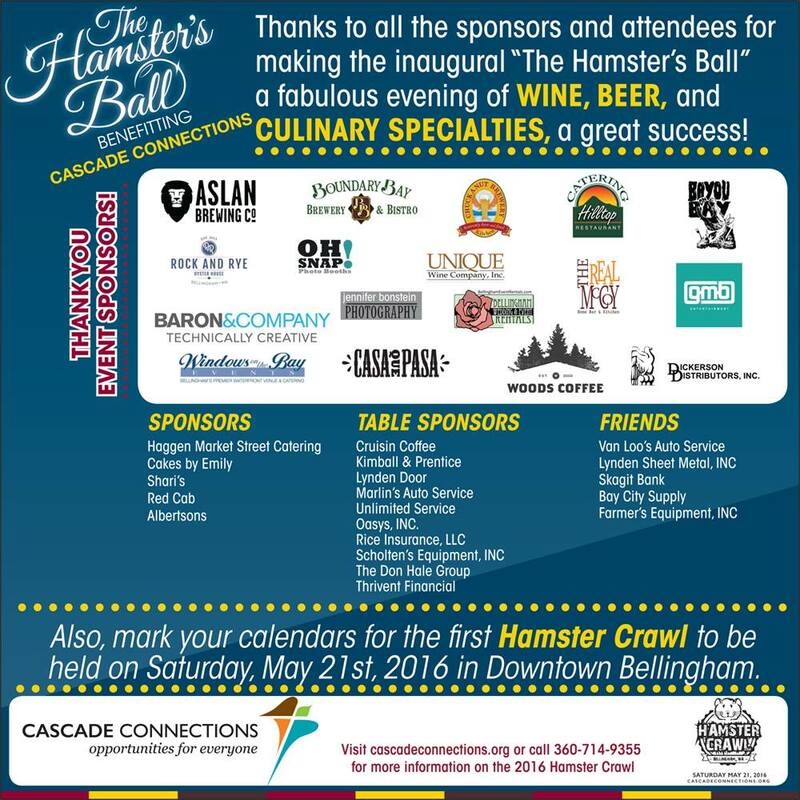 For more information about the 2016 Hamster Crawl, please click here. You will not want to miss Bellingham’s 1st annual “The Hamster’s Ball”, a fabulous evening of fine wines, beers, spirits and delicious culinary specialties, to be held at the Bellingham Cruise Terminal on Friday November 6, 2015. 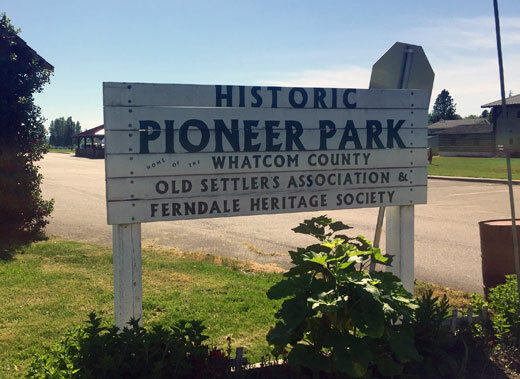 Proceeds of the event benefit Cascade Connections, a non-profit organization that has been providing quality services to people with all types of disabilities for almost 35 years in Whatcom county. Come to our annual summer picnic on July 18th from 11:00 am till 2:30 pm and listen to the live band, have lunch on us, and interact with our staff and the people we serve! Lunch served from 11:00 am to 1:00 pm. Out of the Ashes – Music starts at 11:30 am. Do you like to shop? Now you can shop and support people with disabilities just by linking your Amazon.com account or Fred Meyer Reward Card to Cascade Connections. You can log in to AmazonSmile using your regular Amazon.com login information, and 0.5% of your purchase price goes to Cascade Connections. Thank you for your support. Together we are creating Opportunities for Everyone! For more information, click here. Fred Meyer is donating $2.5 million per year to non-profits in the Northwest! Sign up for the Community Rewards program and support us by linking to Cascade Connections or by our non-profit number (86274). For more information, click here. 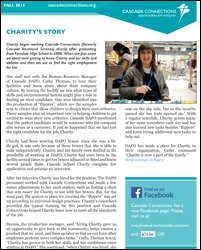 Click here to download the Spring 2015 newsletter. Stay up-to-date with Cascade Connections’ news, programs, and people by subscribing to our newsletter. You can find our signup and archive here.